For the uninitiated, molecular gastronomy imbibes the principles of physical sciences to transform the taste, process as well as look and aroma of food. The technique studies the traditional process of cooking and plays with the form, temperature, pressure and the chemical reactions to develop and present the dish in a new avatar. 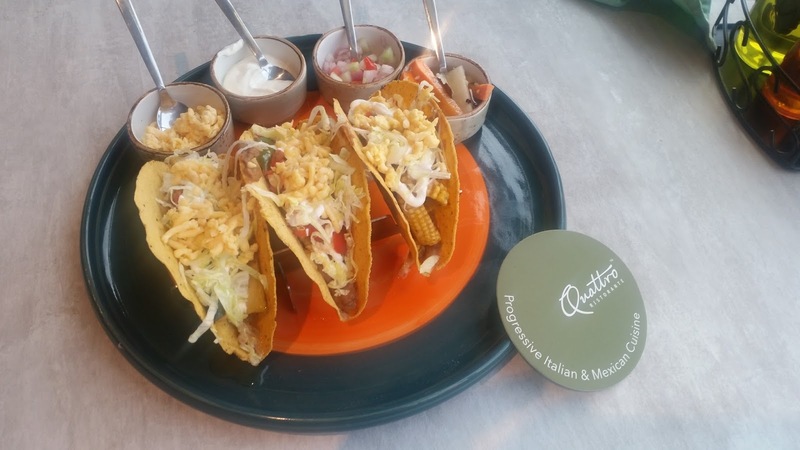 After their successful restaurant at Lower Parel, Mumbai, Quattro has now forayed in Hyderabad, with an outlet in Jubilee Hills. 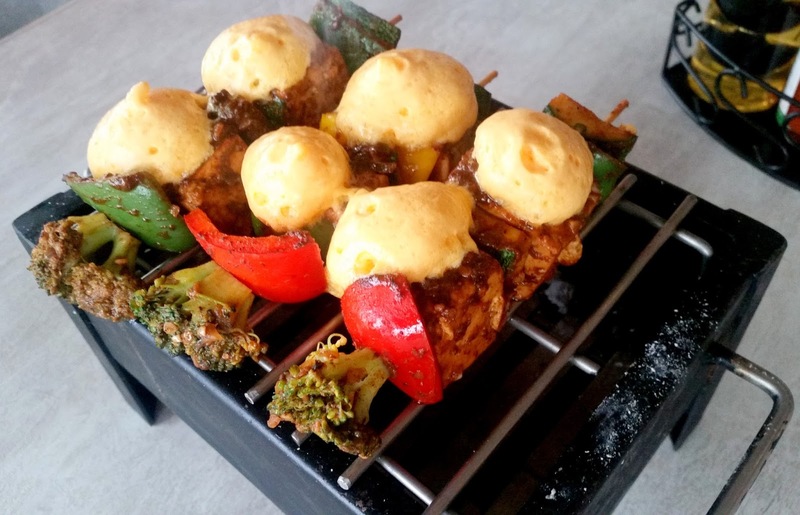 It is definitely a brave step, as the food lovers of Hyderabad are not known as early adopters of any new trend. So far, the kitchens of star restaurants have been using techniques like deconstruction and spherification for some of their promotions. Mist N Creams, one of the ice cream places also use liquid nitrogen for their ice creams. But most of it are still in small scale. The restaurant on the busy Road No 36 is swanky and spacious. I attended a tasting session for bloggers here, and expectations and interest to learn about the technique and experience the dishes were pretty high. The first dish to be presented was the Minestrone Tea Set, served in a unique way. 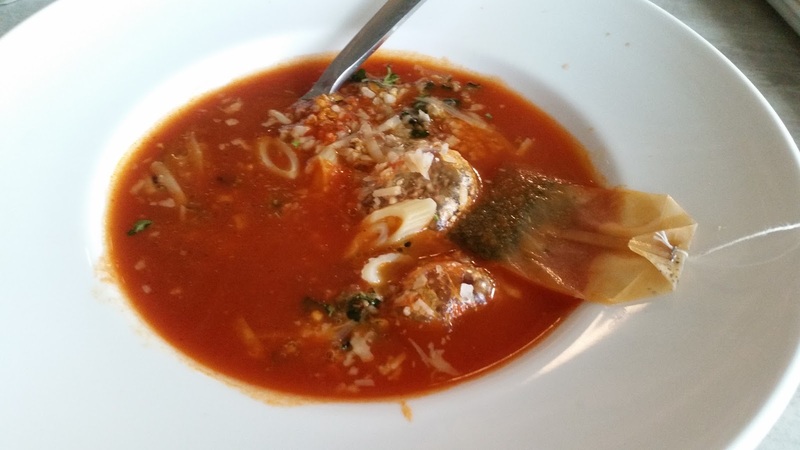 A few plastic wrappers containing dehydrated vegetables were placed on the soup bowl, and the soup was poured on top melting the bag. Garlic, parsley, parmesan, and a smattering of pasta was added to it, and finally, it was flavoured by a green tea bag. 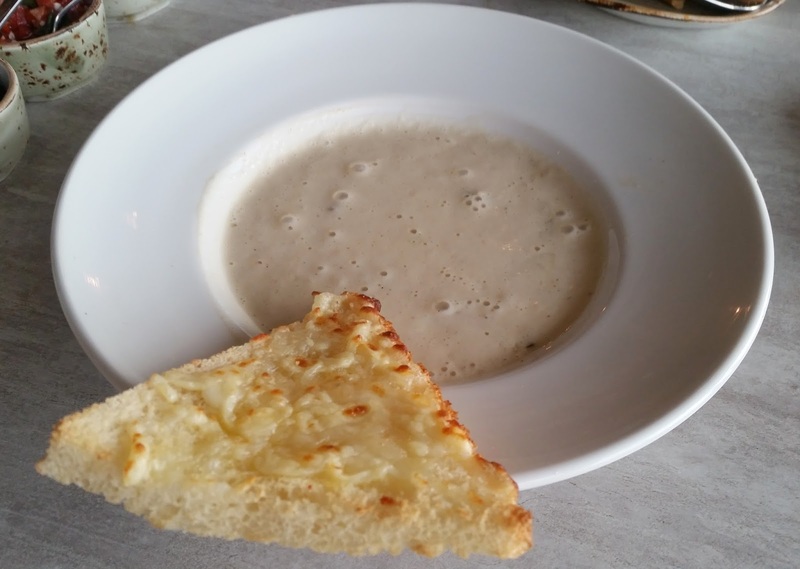 Mushroom and Leek Soup was nothing very fancy. The highlight was the foamy presentation, but I loved the taste of the thick broth served with some garlic bread. Liquid Salad was an innovation. Cucumber, kale, and lettuce were pressed into a juice. The presentation was truly unique, though I am not sure I would like my salad to be liquid. 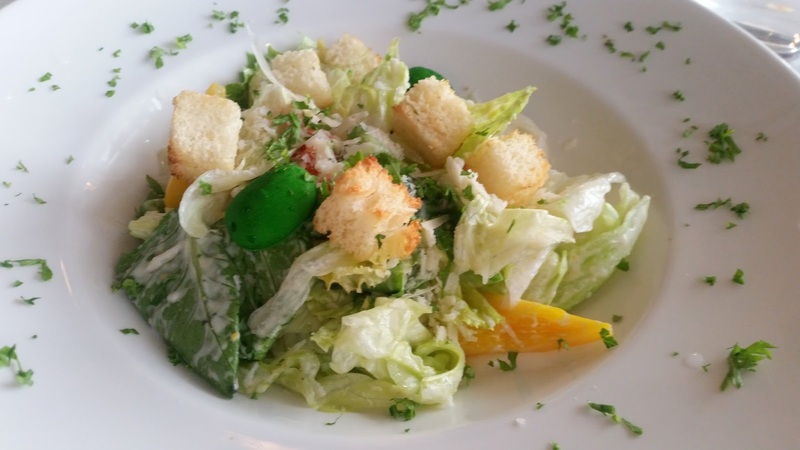 The Classic Caesar Salad was more my type of food, with a twist of having a spherified olive burst in it. The experience of the round green olive shaped thing bursting inside your mouth gave a real kick. Chilled Melon and Feta Salad was the other salad served. Round shaped watermelon and muskmelon with a smattering of feta cheese, mounted on sticks and presented cold in a glass jar with a long nose which looked more like a chemistry equipment. 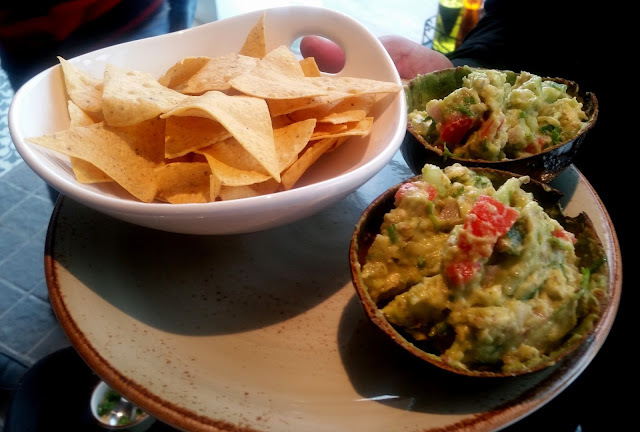 Next, we were exposed to live preparation of Guacamole right next to us. It was good to see a nice touch of liquid nitrogen poured into mashed avocados, tomatoes, and other ingredients. Though the demonstration wowed us all, the preparation was rather coarse and lumpy for my liking. 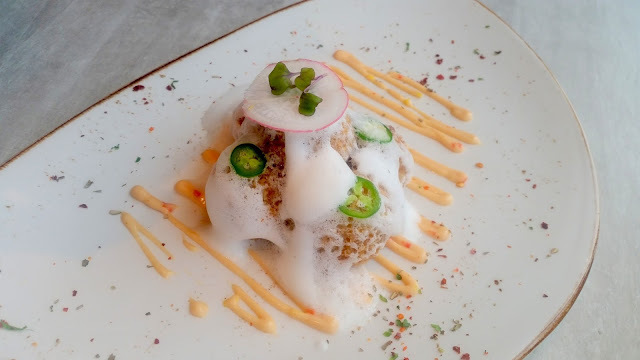 Among the starters, Jalapeno Queso had cheese and jalapeno spheres covered with a foamy jalapeno cloud. The taste of the balls justified the expectations set up by the nice looks of the dish. 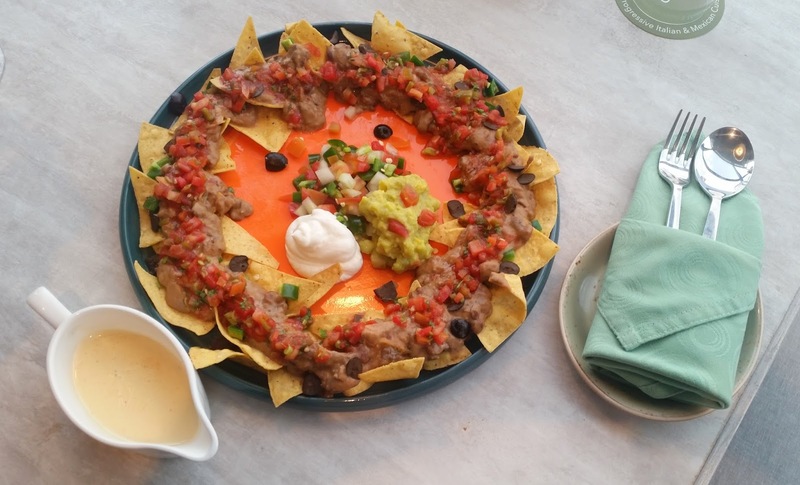 The DIY Nachos were presented nicely with a colourful look. This was a hot favourite of everyone as it had a lot of different toppings and melted cheese poured on it. In spite of a huge number of dishes being lined up for this tasting session, a second helping was still called for. 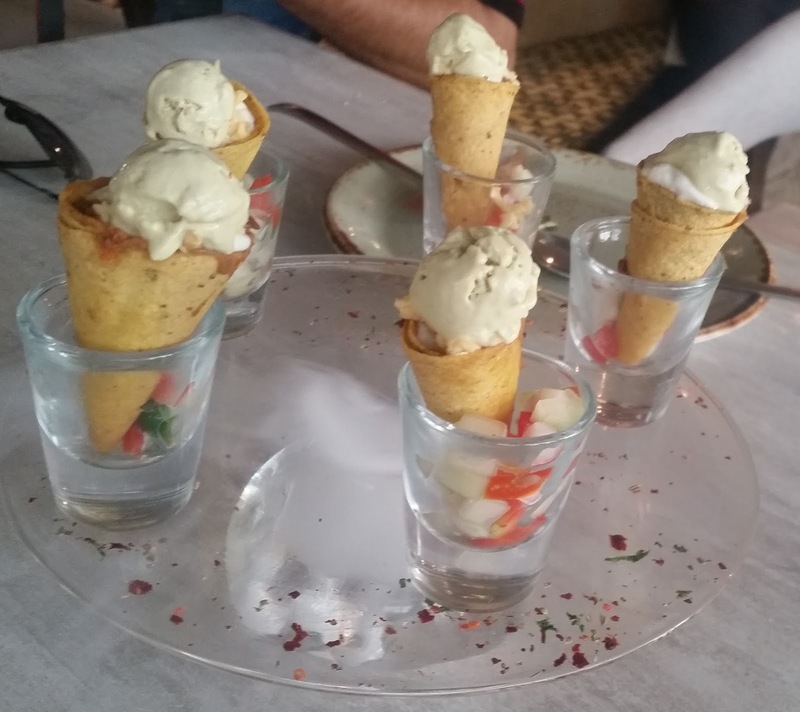 Taquito had avocado ice cream filled tortilla cones served in shot glasses. 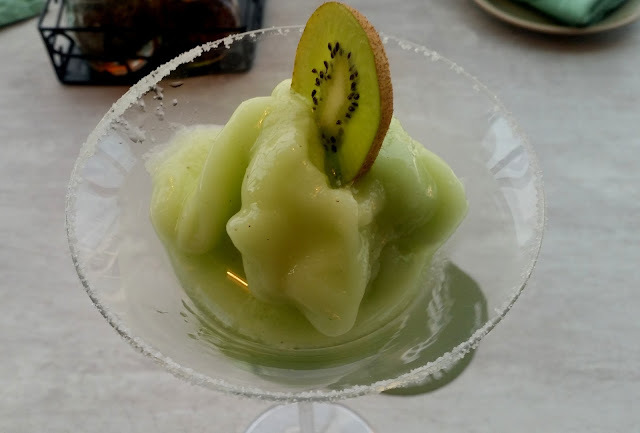 I absolutely loved the taste of this combo, especially the avocado ice cream. I would recommend this as a must-have dish here. Olive Tapenade Cottage Cheese with grilled spicy paneer and bell peppers topped with olive tapenade. 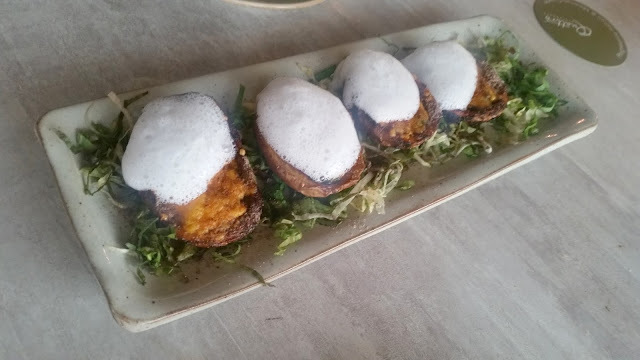 Tex-Mex Loaded skin with cheese and asparagus stuffed potato skins with sour cream foam on top completed the long list of starters to be tried. Unfortunately, I was quite full by now, and the main courses had not started rolling out. So, during rest of the tasting session, I could only try out bite sized pieces of each offering. I always advocate that a tasting session should be ideally restricted to six to ten dishes so that true feedback can be received. 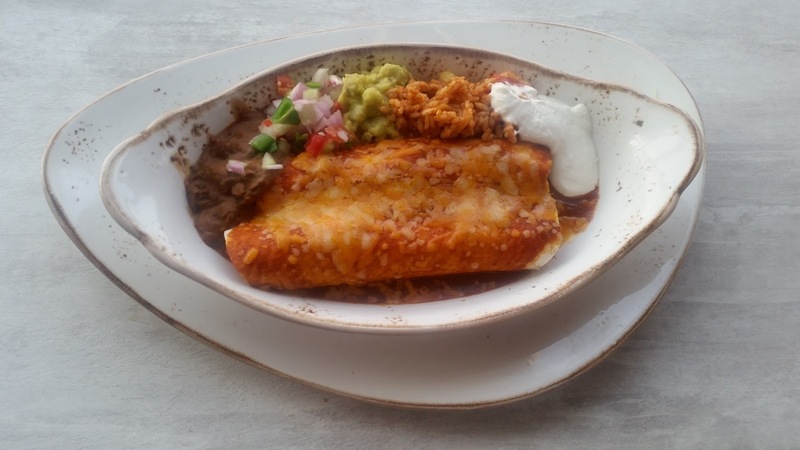 However, in their enthusiasm to showcase all their good dishes, I have found many restaurants go upwards of twenty dishes in a single session. 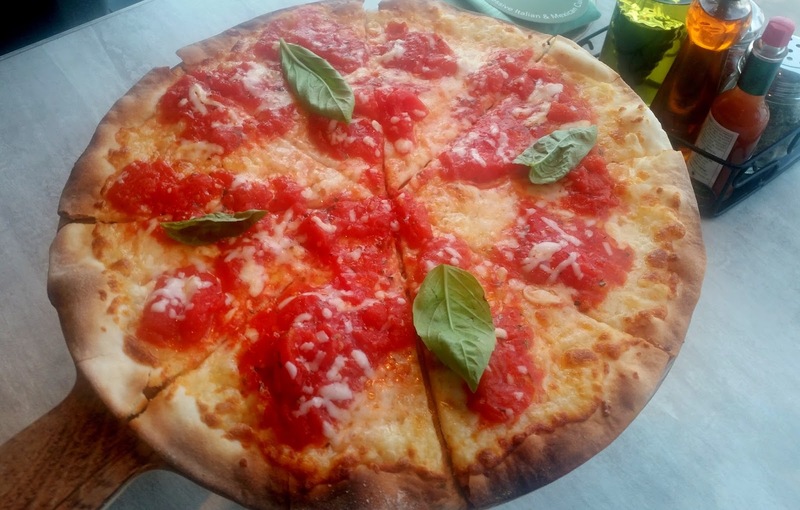 Margherita Upside Down was a version of the most popular pizza with tomato on top of the cheese. I am a fan of the classic version of this pizza. So maybe I was not very open towards this dish and did not like the taste. Some pasta and risotto were served. I had a spoonful of each. The Tacos served with cheese and beans as well as loads of sour cream was balanced in taste. The final dish before desserts was the Enchiladas. The stuffed tortillas tasted good with loads of vegetables and covered with melted cheese on top. There were three desserts which were chosen to be showcased for the tasting session. 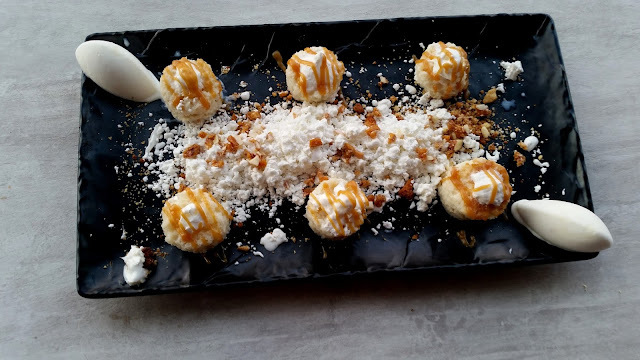 The Tres Leches were served in a deconstructed version, with the cake served a six round shaped pieces and the toffee sauce on top. Again a dish where the presentation was eye-catching. Chocolate Ganache Torte had the chocolate cake stuffed with mousse. 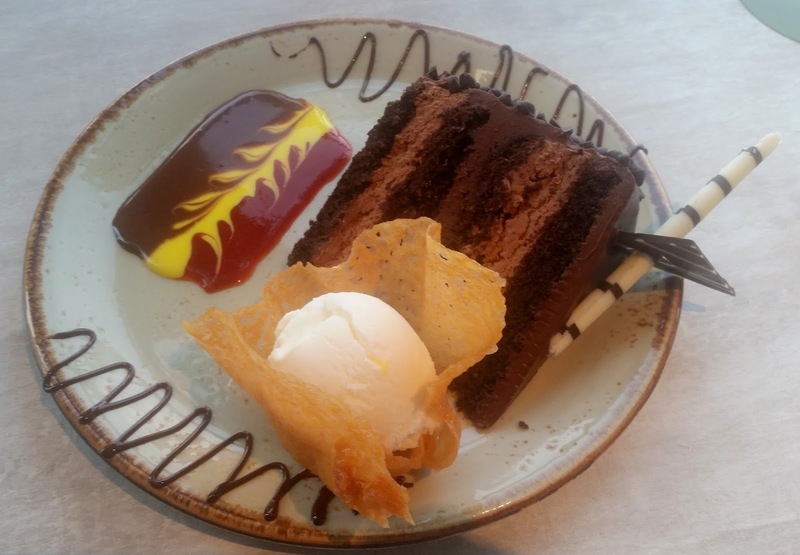 It was served with ice cream and a multi-colour sauce. Overall, a huge variety of food. I would rate this restaurant as a must-visit for any food lover interested in latest culinary developments. Please note it is a completely vegetarian restaurant, so if you are a “pure non-vegetarian”, you should leave your inhibitions at home and enjoy the food with an open mind. 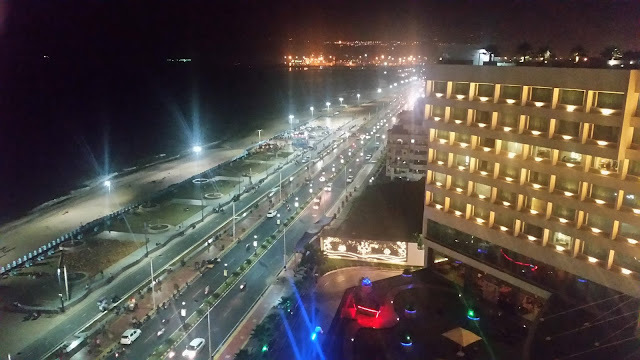 I commend Quattro for bringing molecular gastronomy in a big way into Hyderabad.